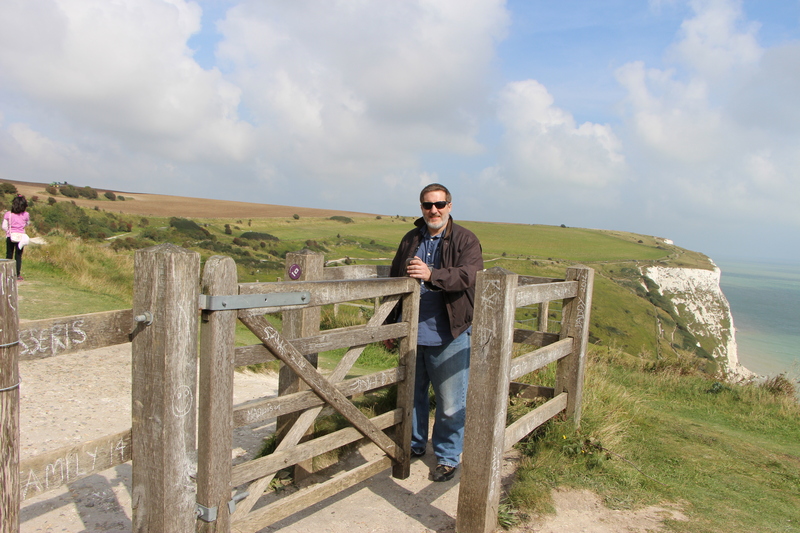 On my recent trip to the UK I came across some useful ideas for gates and easy fence crossings. They have large fields for their cows or sheep and it is not easy to have an assembly of gates at regular intervals. They have created an easy way to get across their fences. Another really cool thing that I discovered is in some of the tourist areas they also have some livestock like horses and like the forgetful people that we are we either don’t know or forget to close gates after us. They had to come up with a way to keep the gates closed and still let the people use it. These were some of the great ideas that I found when I was over there. The fence crossing is called at stile. It was a way for the farmers to get across to other fields faster and not have to walk to a gate. They are also used in many places for the public to hike on public paths that go across livestock fields. It is in its simplest form, two wooden polls one on each side of the fence, stuck in the ground that are about half as tall as the fence with a third plank or wood connecting them creating a step on each side of the fence. They also use them in there rock fences by using a longer rock as an out cropping on both sides of the wall. They can get more complicated with multiple steps and in some cases stairs and a platform over the top of the fence, and then stairs down the other side. One of the coolest types of gates that I saw while I was over there was the kissing gate. This gate is always open and always closed at the same time. It can be made with a variety of materials. One of them is a three sided square on one side and a hinged gate attached to the other side of the fence. The gate over laps into the open square. You can push the gate until it hits the other side of the square then step inside the little opening and move the gate to the other side of the square and step out on the other side of the fence. Some of them are made of metal and are curved instead of a three sided square. They can be made bigger to accommodate wheel chairs. Most of the gates are fixed on the hinge so that it swings away and rests away from the side that the animals are pastured in. 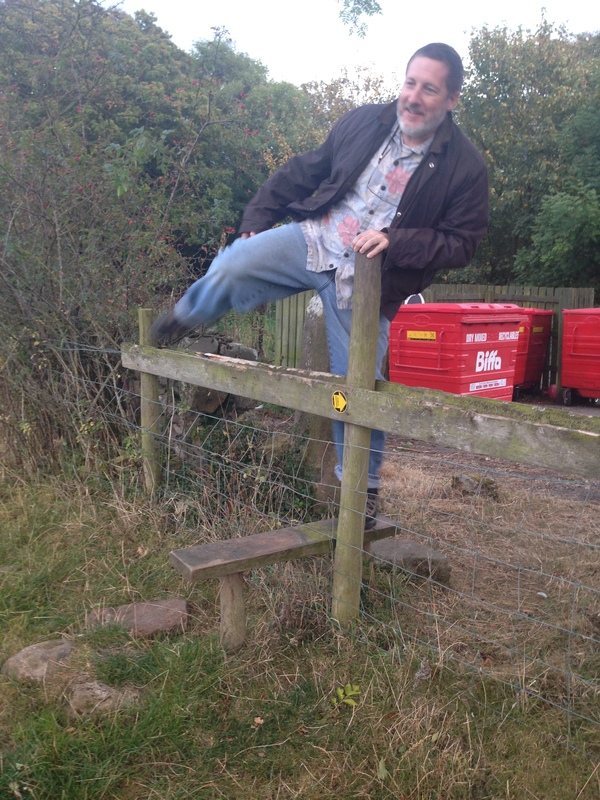 I thought that the kissing gate and the stile were very cool and relatively easy to make. The stile could be used not just for livestock pastures but also for an alternate way over any fence or a dog pen. The kissing gates can also be fitted with a common latch so that it can be latched shut.